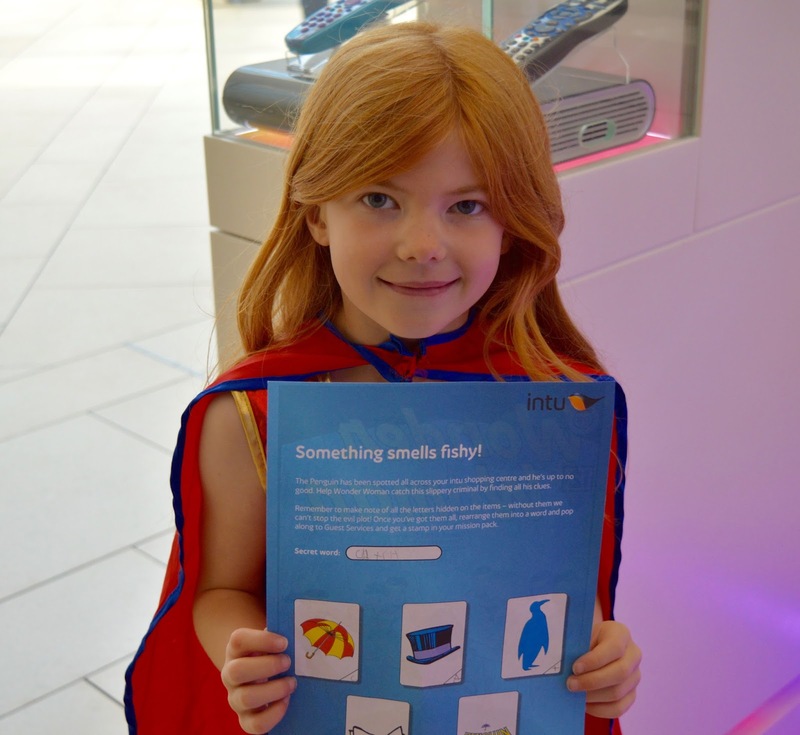 I am always on the look out for free activities to do with the kids, especially in the summer holidays. We've already tried (and would recommend) Screen on the Green and yesterday we headed to the Playground Project at the Baltic (blog post coming soon). 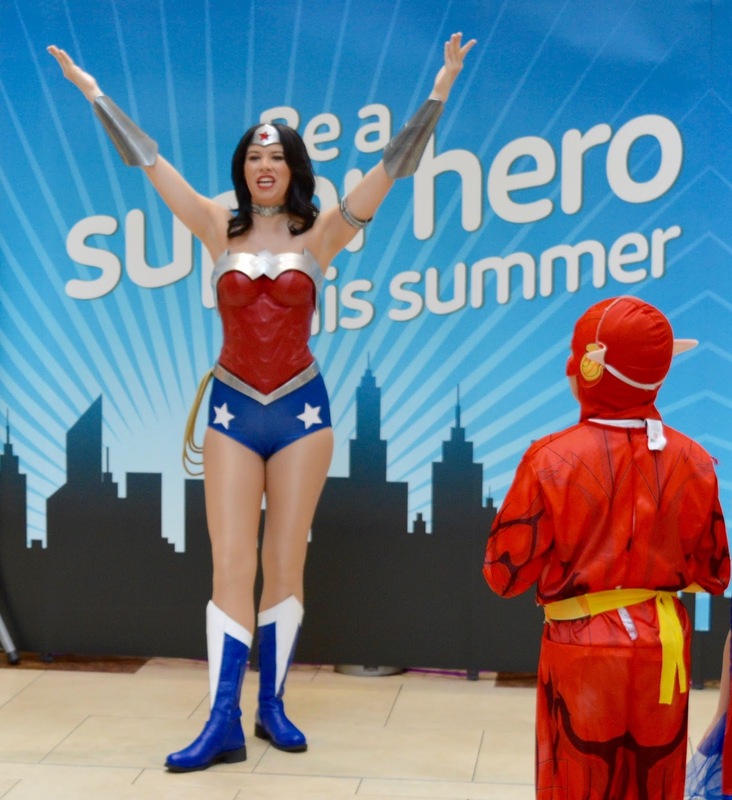 Today however was all about Wonder Woman and we headed to intu Eldon Square to meet one of our idols. 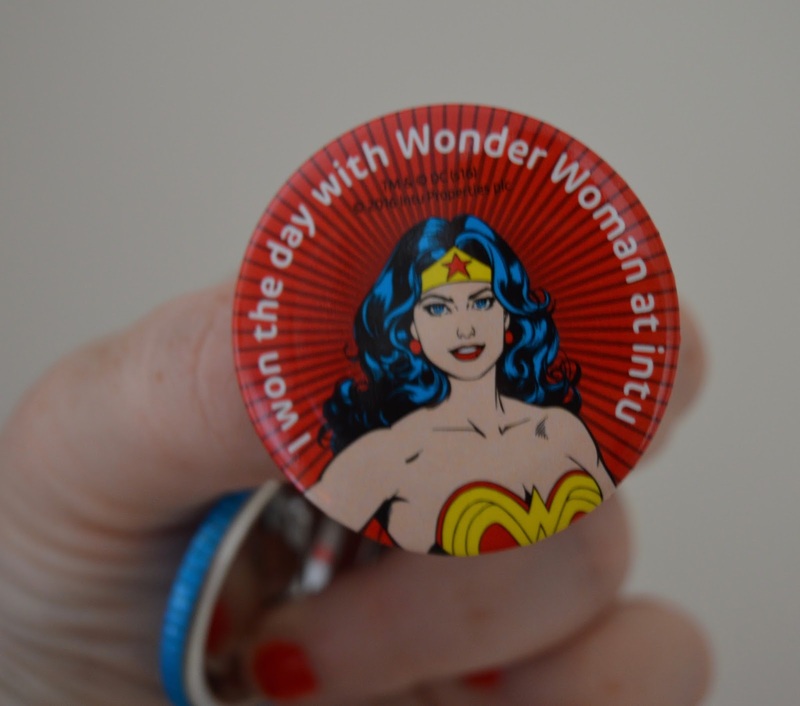 You could only meet Wonder Woman if you had pre-booked a ticket or been lucky enough to grab one from customer services on the day. 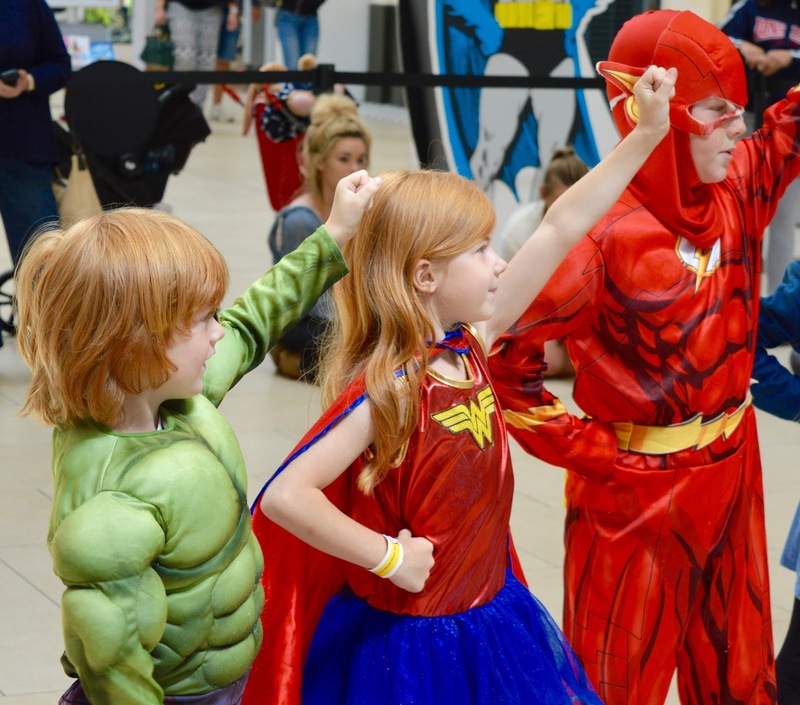 Our children put on their wristbands and entered the special superhero zone. 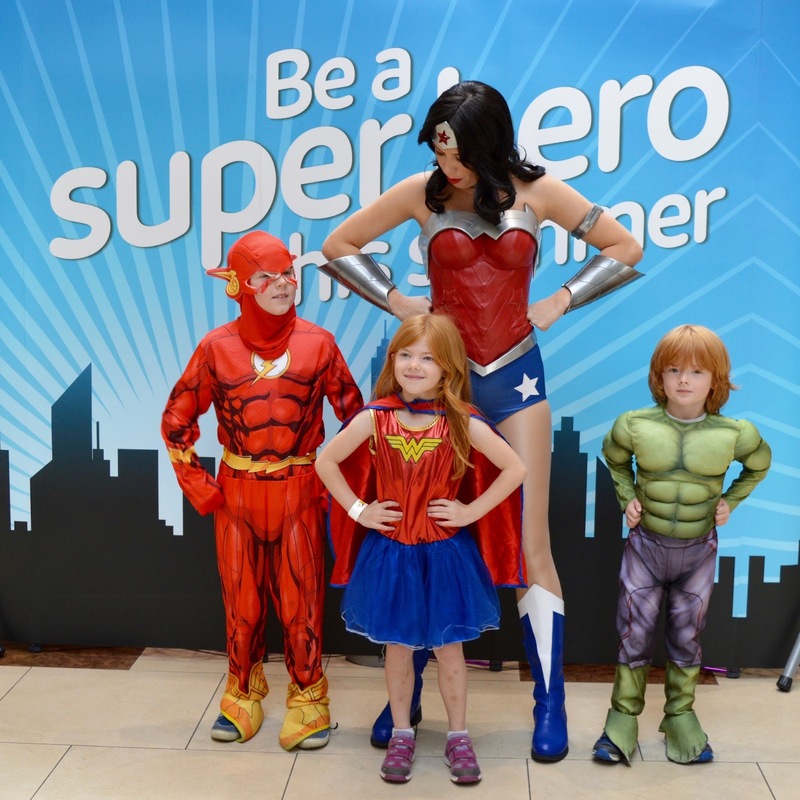 Wonder Woman was actually fantastic - she put the kids through their paces, teaching them how to be a REAL superhero. Some of the grown ups even joined in too. 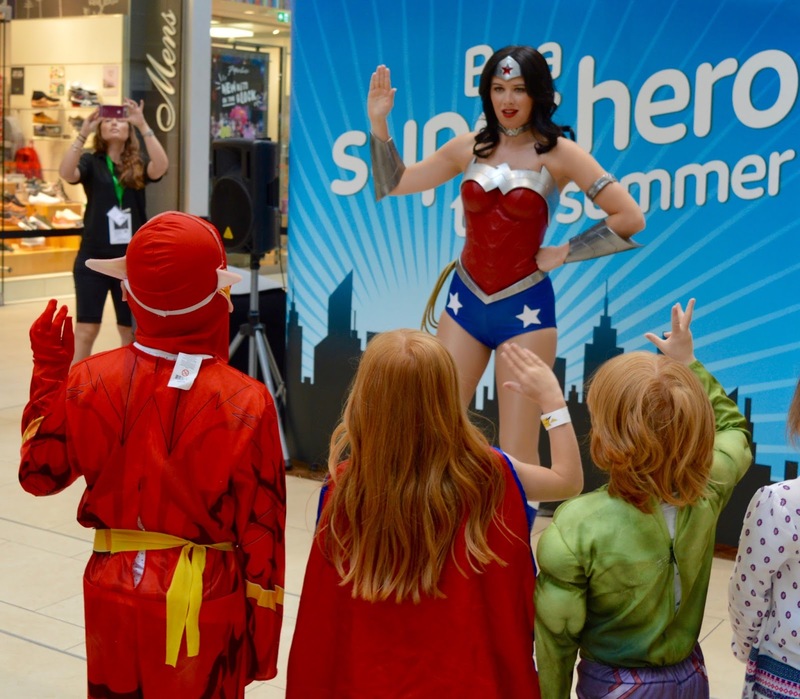 Once Wonder Woman was happy with her new recruits, she joined us all together to say the Superhero Pledge. My three loved this and even Harry joined in. 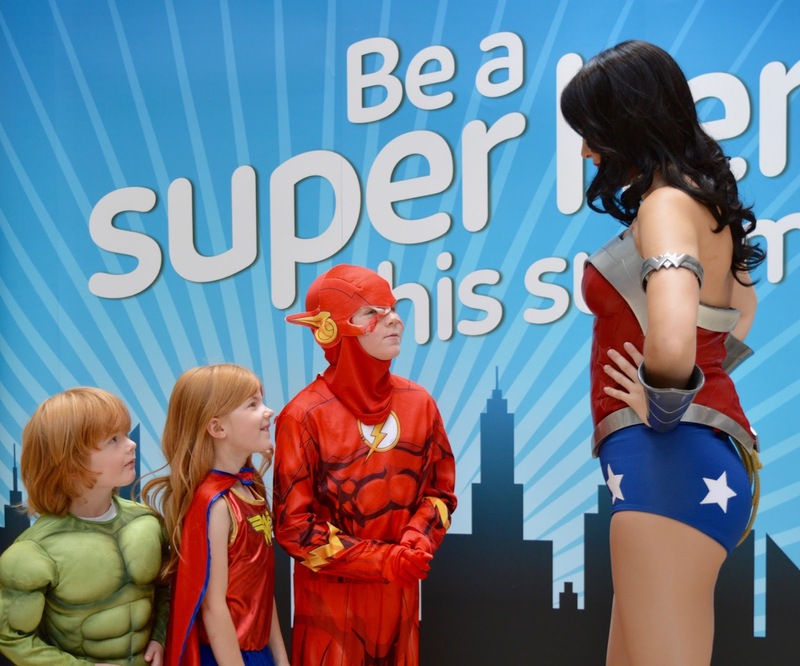 After our pledge it was time for some one-on-one time with Wonder Woman. 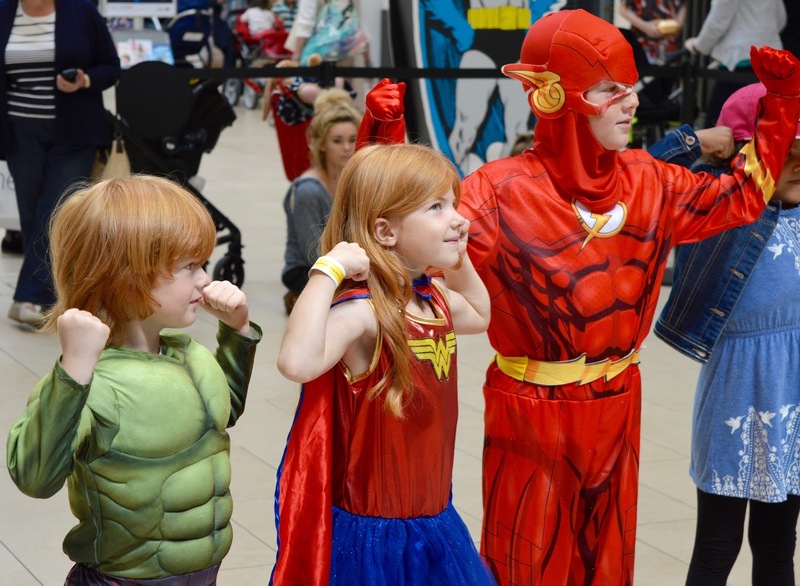 My children patiently lined up for their turn (the queue wasn't very big and we probably waited no more than 5 minutes). 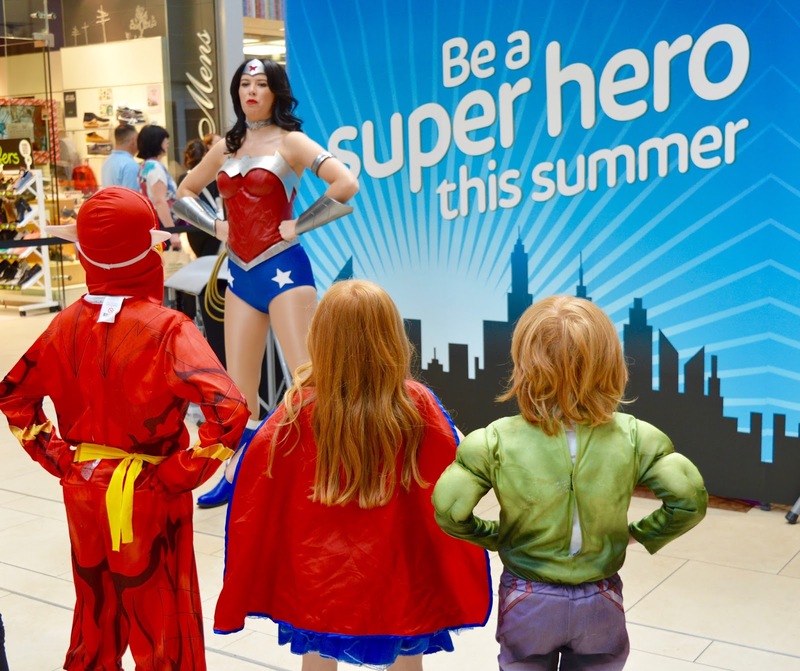 Wonder Woman had a little chat with her fellow squad members and asked what they'd been up to and if they'd spotted any villains today. 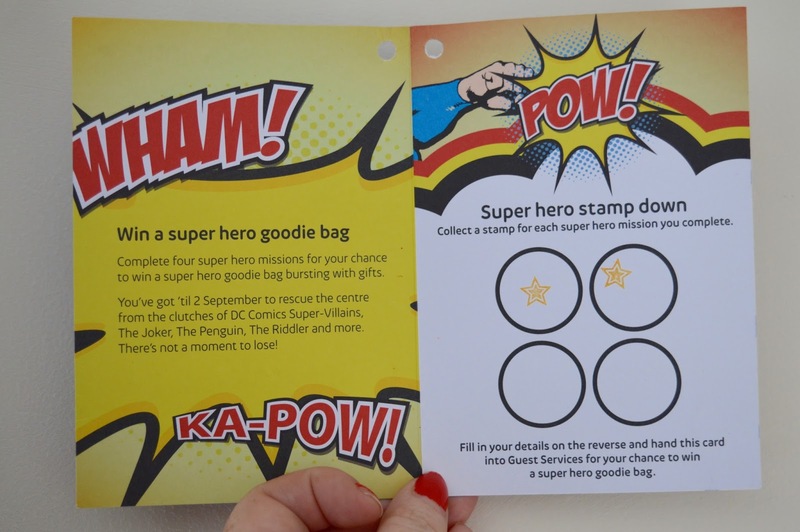 As we left, we were given superhero stickers/badges, a superhero trail to join in with and a special mission pack. We set off around the centre to find the clues and tick them from our list whilst deciphering the secret word. 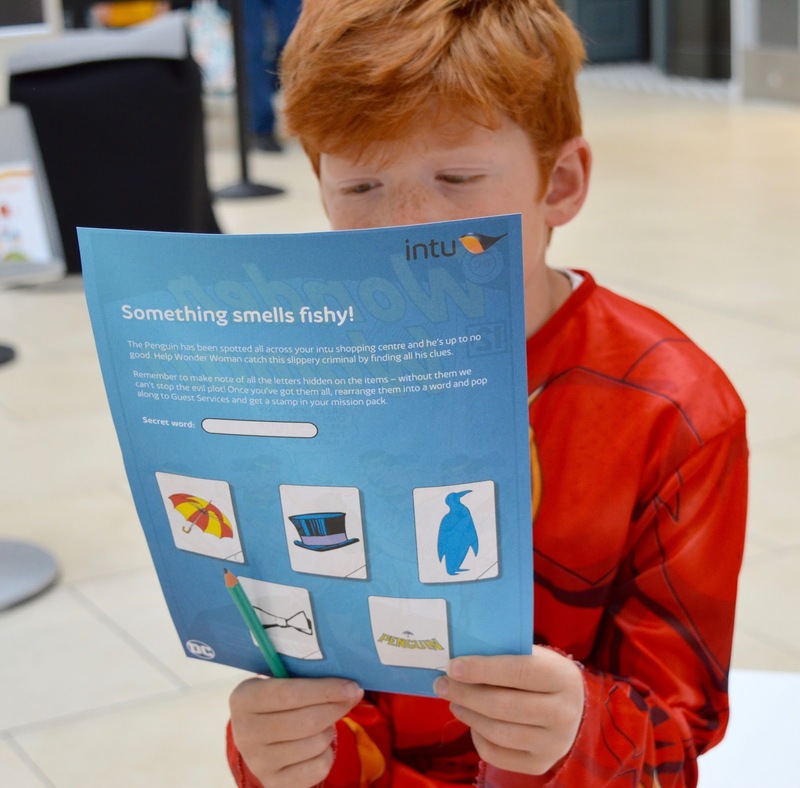 I must say, my kids are top spotters and found the clues way before I did! 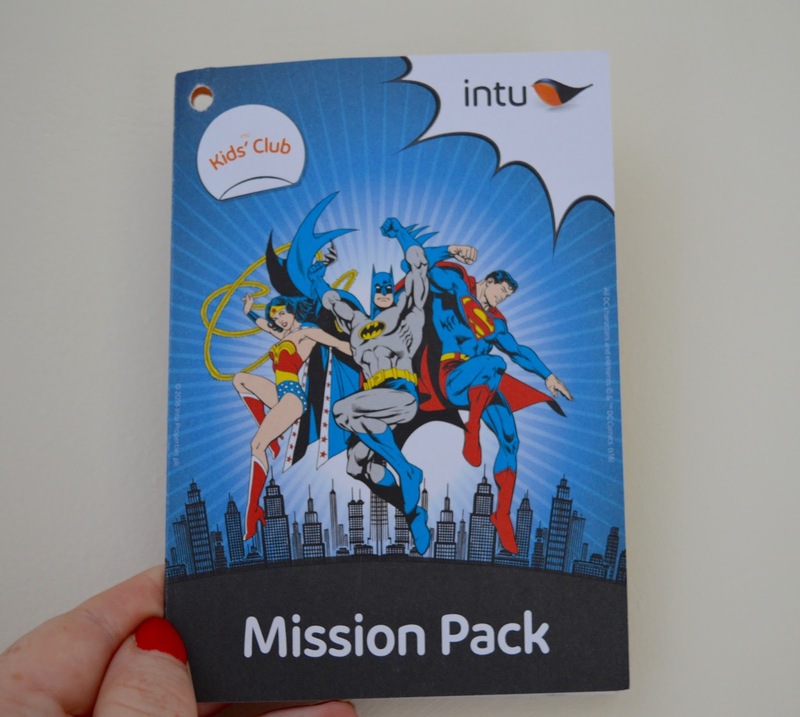 We completed the trail and handed our mission pack into customer services to receive a special stamp. 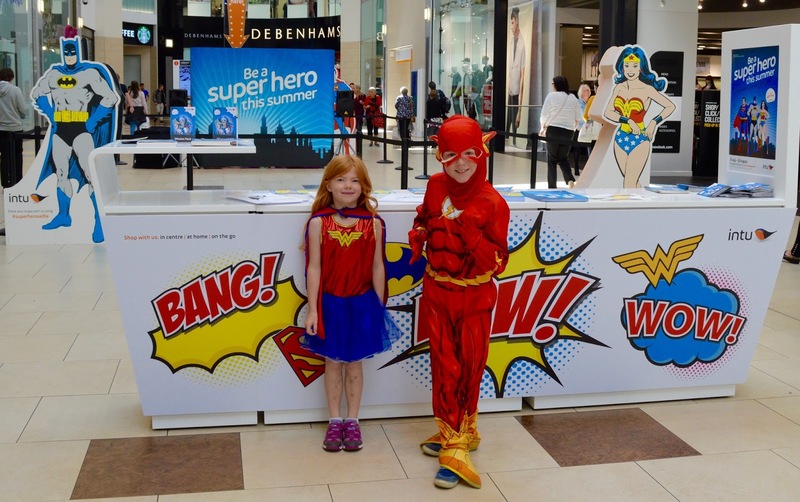 Once our card has been completed (with other superhero missions at intu Eldon Square) we are in with the chance of winning a superhero prize. Yeah! All in all, this was a fab way to spend an hour or so. 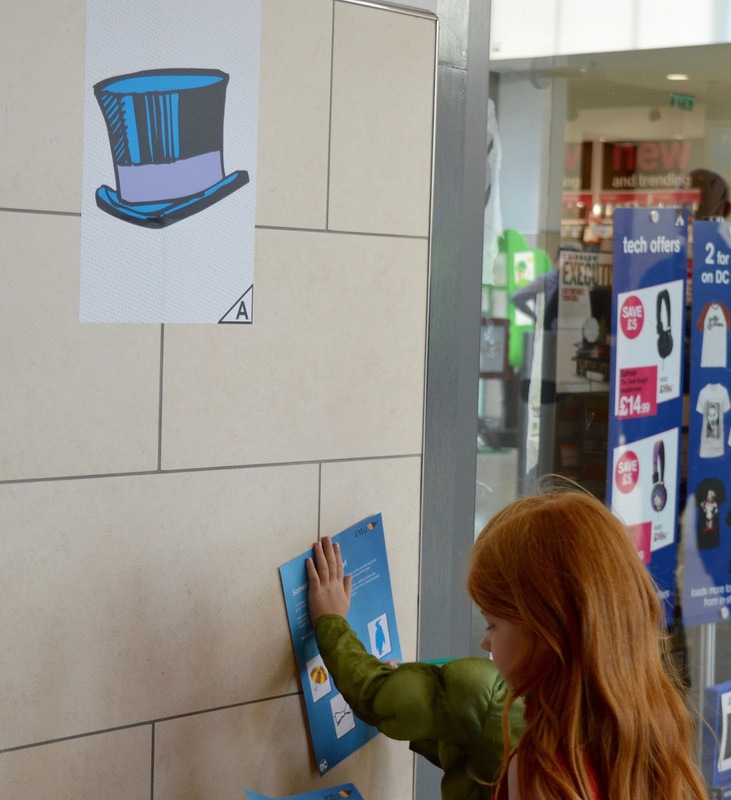 The kids were entertained and I didn't spend a penny. What could be better? 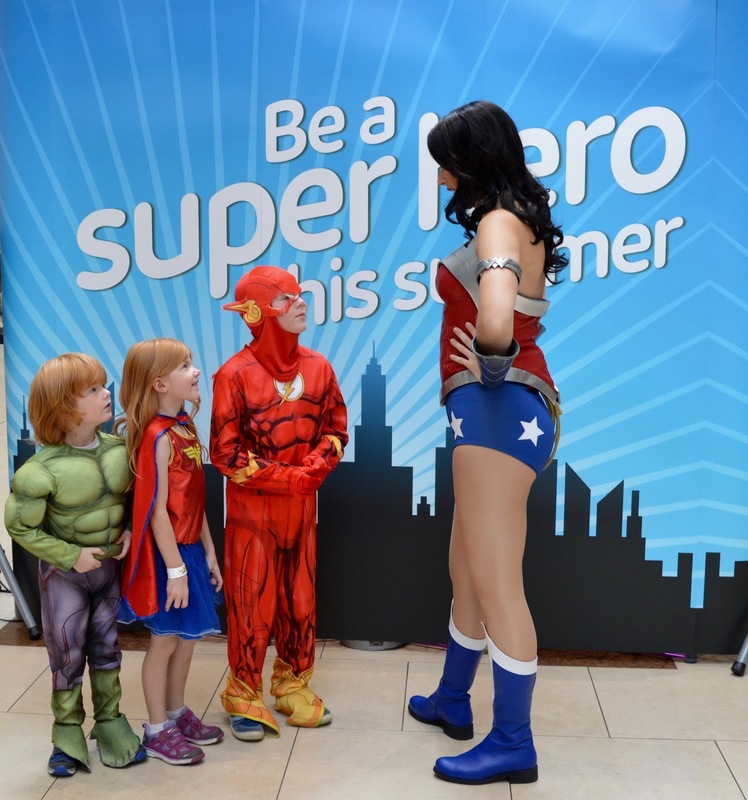 Superman will be attending intu Eldon Square and running a similar event on Thursday 25th August. 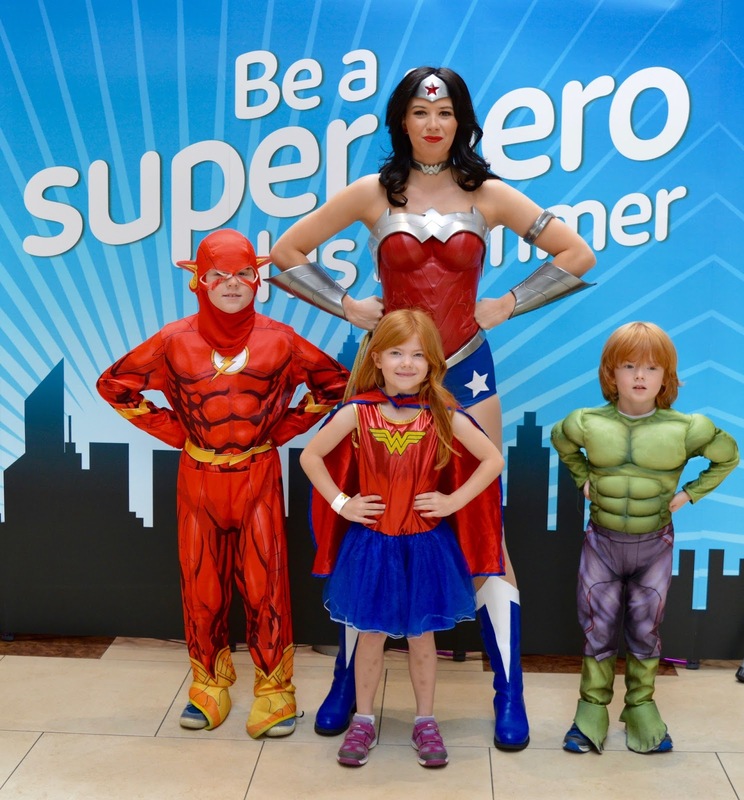 If your children would like to join in the fun FOR FREE, simply reserve their FREE superhero ticket here. This looks like such a fun outing and something my daughter would love. 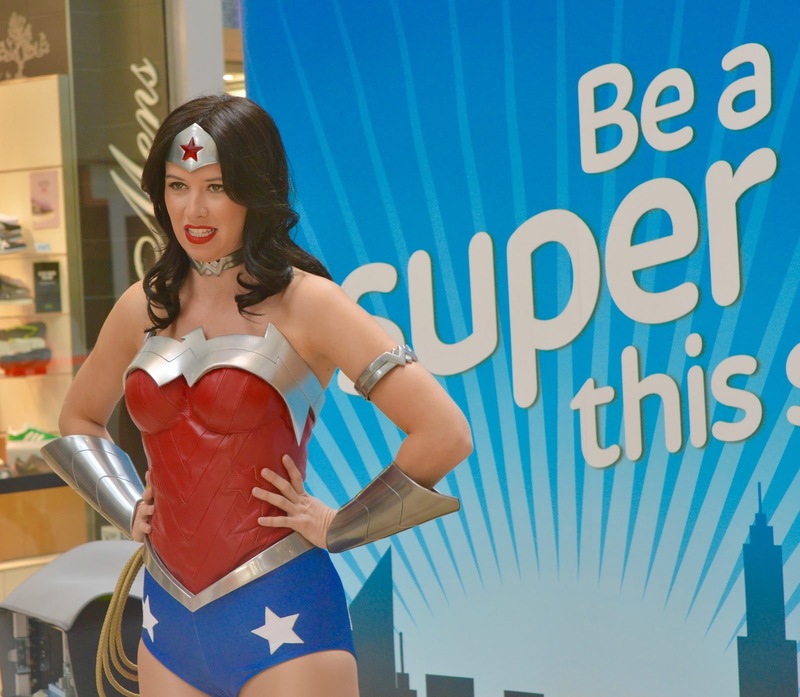 SHe has a wonder woman costume too! 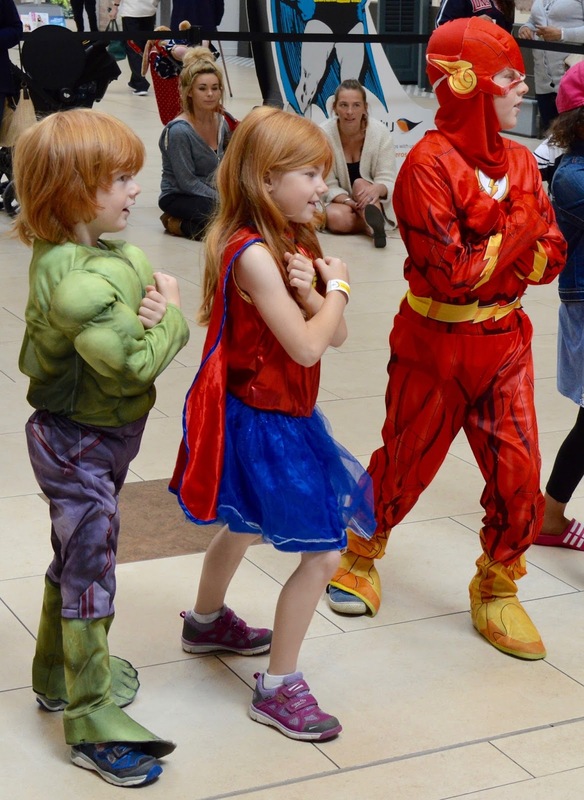 Looks like the kids had a great time, very cute! Such a nice idea! Fantastic day out! My girls, especially my youngest daughter would LOVE this!